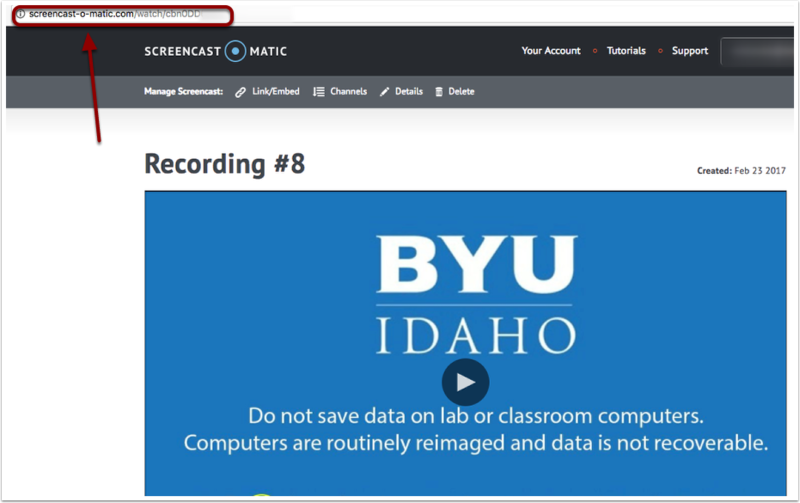 EdTech Help GuidesED200 Screencast O MaticHow Do I Save My Screencast-O-Matic As A Link? 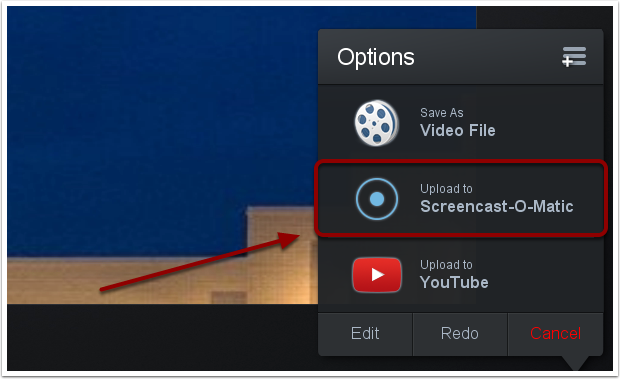 In some cases, it will be necessary to save a Screencast-O-Matic as a link rather than a video file. Below are instructions on how to save the video as a link. 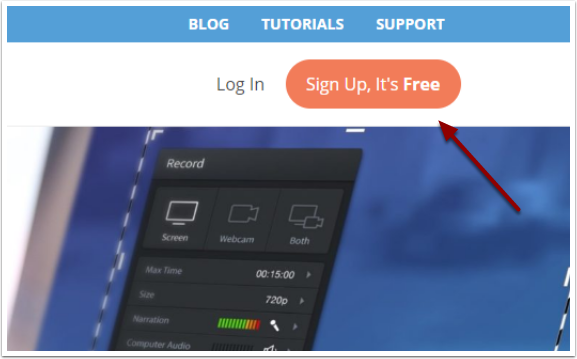 Navigate to the Screencast-O-Matic website and click "Sign Up, It's Free." 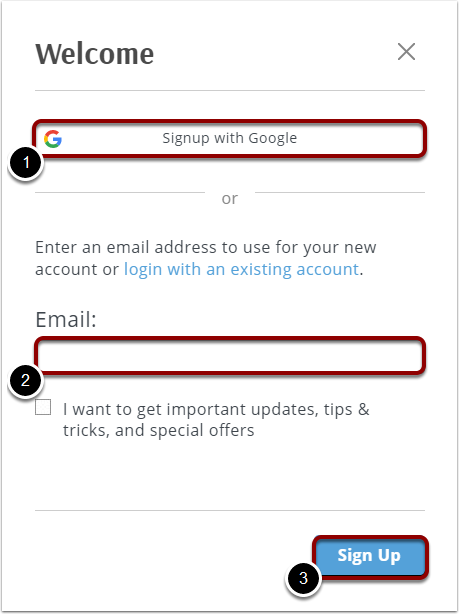 Click "Signup with Google" to use a Google account to log in. It will prompt you to enter a gmail address and password. 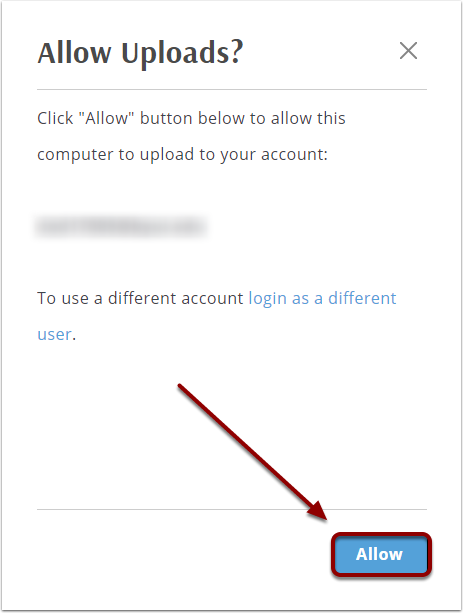 If you don't have a Google account or don't want to use it, enter an email address. Click "Sign Up." You will receive an email with a verification link to finish the signup process. Check "I agree to the Terms of Service. 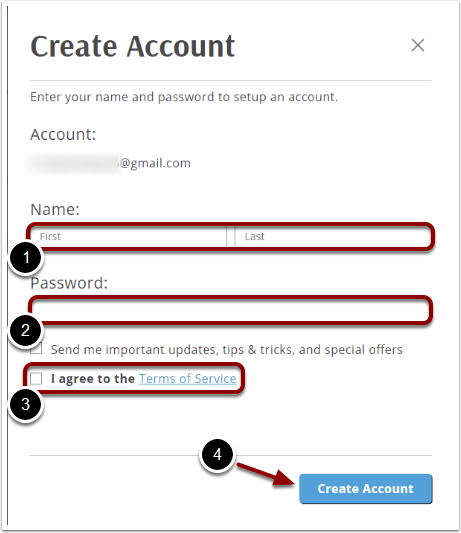 Click "Create Account" to finish setting up your account. 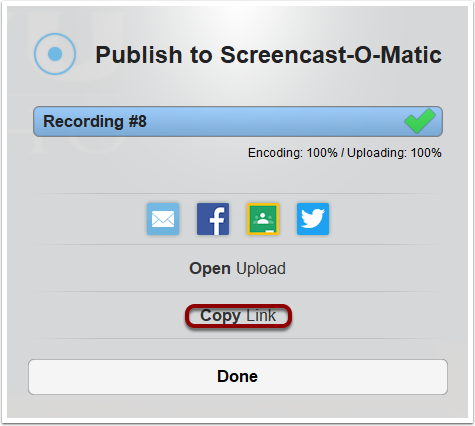 After you have finished recording and selected done, select the option to Upload to Screencast-O-Matic. 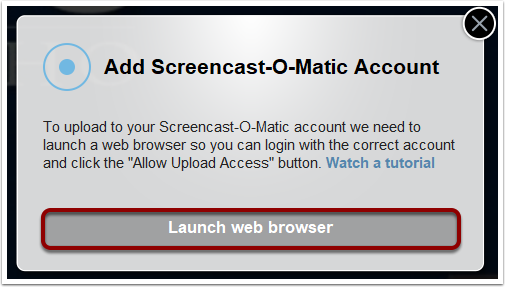 Click "Launch web browser" to allow upload access to Screencast-O-Matic (you only have to do this the first time). Click the Allow button in the web browser that opens. 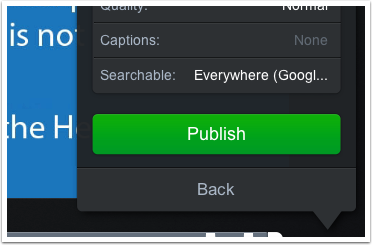 Return to Screencast-O-Matic and click the green Publish button. Once this box appears, click the Copy Link option. The link can also be directly shared to email, Facebook, Google Classroom, and Twitter using the respective buttons. After the link is copied, you can paste it in a search bar. The link can also be sent to others, giving them access to view the video. Prev: How Do I Save My Screencast-O-Matic? Next: Why Is The Sound On My Screencast O Matic Video Low And Distorted? How Do I Download and Install CmapTools? How Do I Create a Cmap? What Are The Basics Of CmapTools? How Do I Insert a Picture Into My Cmap? How do I Save or Export my Cmap? How Do I Record My Cmap? How Do I Create A VoiceThread Account? How Do I Create A New VoiceThread Project? How Do I Comment On Media In VoiceThread? How Do I Share My VoiceThread? How Do I Access Google Sites? How Do I Create a Realtime Board Account? How Do I Create a Zentation Account? How Do I Create a New Zentation Presentation? How Do I Sync My Presentation? How Do I Share My Zentation Presentation? How Do I Create a Tagul Word Cloud? How Do I Import Words? Why Is The Sound On My Screencast O Matic Video Low And Distorted?